Redland City Council’s Luke Kinman has been named one of the State’s top 10 young leaders in the prestigious IPAA Queensland Top 10 Young Leaders Awards last night. The awards recognise Queensland’s exceptional young leaders across all levels of the public sector. Luke, 26, is the Service Manager for Communication, Engagement and Tourism at Council managing the team that delivers community events such as Christmas By Starlight and the recent Commonwealth Games relay as well as tourism initiatives across the city. Apart from his demanding day job, Luke is also President of RedFest (Redland Spring Festival), a position he undertakes voluntarily and that sees him deliver one of South East Queensland’s largest festivals. Redland City Mayor Karen Williams said Luke was a remarkable young leader and well deserving of the award through the highly regarded Institute of Public Administration Australia (IPAA). 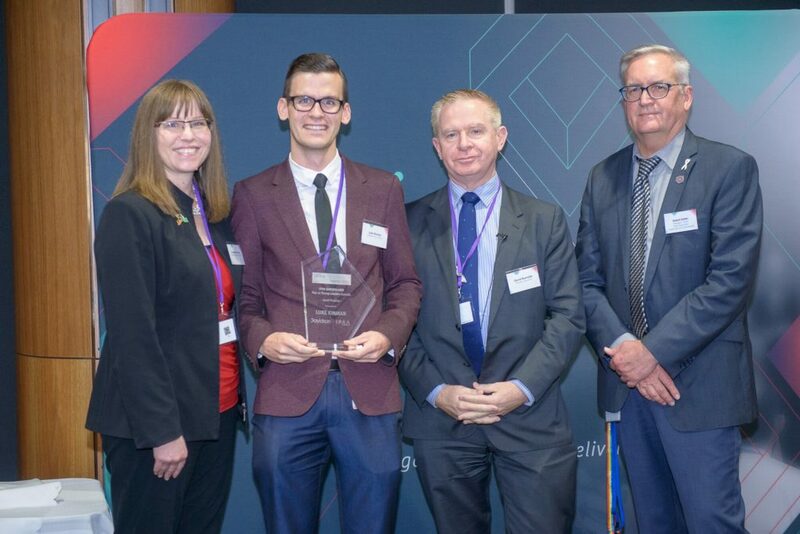 “It’s great to see young leaders recognised for their exceptional contribution to the public sector early in their career, as it opens up their careers to new opportunities,” Cr Williams said. “Luke was nominated by one of his team members and the panel of senior leaders from government, industry, community and university sectors have assessed the applications against the Award’s criteria. “He shows maturity and resilience beyond his years, generates enthusiastic commitment from his team, and passionately serves his community. “Luke’s leadership coupled with his infectious passion and vision to turn an idea into reality inspires his team to go above and beyond and delivers exciting and creative festivals, events and programs for the Redlands community, Cr Williams said. Luke moved straight from college to work at the Redland Performing Arts Centre in 2010 as a trainee in the Technical Production and Events team. After seven years working in a range of supervisory and management roles within the Council, he was successful in being appointed as a Service Manager within the Communication, Engagement and Tourism team. Luke said to win one of the top awards was mind-blowing. “It sounds like a cliché, but it’s true – simply being nominated is an honour,” Luke said. “I am eternally grateful for the opportunities the Redland City Council has offered me throughout my career so far. Posted in Awards, Council, eNews and tagged .